The Federal Reserve left American savers out in the cold again this week after announcing its intention to continue putting off the long-awaited second rate hike since the Great Recession. For months, followers of the Fed have anticipated some kind of break in what’s perceived to be an excessively long trail of artificially subdued interest rates; many expecting the next hike to come this month. Now that September is off the table, the outlook for interest rates is clear as mud. However, precious metals experts believe undercurrents from the decision could mean big things for gold. Does the Fed Care About Savers? Low rates put tons of pressure on average American savers, and when the Fed comes out with a decision like this, Wall Street is the only happy camper. However, it’s crucial to remember that while the Fed is hurting savers by refusing to raise rates, it’s inadvertently doing a huge favor for those Americans who own gold – and in more ways than one. First of all, each time the Fed opts not to raise rates, the market gets a little more apprehensive about the safety of the economy, which inevitably causes uncertainty and a sharp increase in gold prices. We witnessed this very phenomenon just weeks ago after the last Fed announcement to keep rates the same. Second, gold tends to thrives in times of low interest rates. Since low rates create an environment where it’s nearly impossible to find a decent return on your investment, people are driven to buy real assets they can rely on to maintain value – most notably, precious metals. Add to all this the fact that Americans are losing trust in the Fed’s promise to raise rates, and an ideal climate for a climb in gold becomes nearly certain. The central bank sent a “mixed message to the markets,” and investors continue to “question if the [Federal Open Market Committee] will be able to move by year-end,” said Chris Gaffney, president of World Markets at EverBank. Precious metals tend to draw buying in a low interest-rate climate as rising rates tend to make non-yielding gold less attractive to investors. 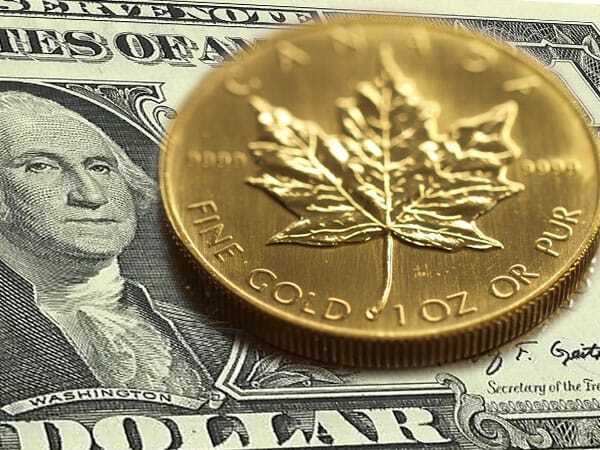 Higher rates may also boost the value of the dollar which usually moves in the opposite direction of the gold price. And if rates remain lower for longer, that will provide a “floor for gold prices,” he said. By year-end, gold could be trading around $1,400, he said, an advance of more than 4% from current levels. The Federal Reserve might not be falling over itself to get rates back on track for the average American saver, but it is giving Americans a chance to make up for the trouble it’s creating by accidentally orchestrating what could very well be a perfect storm for gold, especially if rates remain untouched for the remainder of 2016.